How do you diagnose the farrowing time of the sows? If the greasy fluid is spotted in the animal's feces, the sows will farrow within the next 30 minutes. Wish you succeed in husbandrying. Important points in feeding lactating sows? Reducing gradually the ammount of feed three days before the farrowing day. Do not feed on the farrowing day or feed no more than 0.5 kg (in fact, we only reducing feed portion on the farrowing date or totally cut it). 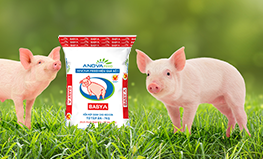 Increasing the feeding portion gradually and dividing it in smaller meals during the day to help the sows eat more. Average portion = 1% p + (number of piglets x 0.4). Do not feed in the weaning day afternoon. Keep track of the sow's weight loss to provide appropriate intervention to its feed portion and weaning dates (note: the gilt). What is the diarrhea treatment method for pigs? The first step in diarrhea treatment for pigs is to identify the cause. Please check the feeding process including food, drink and living environment in order to determine the cause. If pigs with diarrhea show other symptoms, a specimen of the pig's feces should be taken to the veterinary clinic to determine the exact cause and develop an appropriate treatment. Pig should be treated with antibiotics after the test using the right antibiotic root to prevent drug resistance. Diarrhea treatment for pigs is combined with injecting antibiotics, anti-inflammatory, rehydration, and mineral salts. Pigs should be isolated during the treatment. If diarhea is diagnosed to be a symtom of an epidemic, antibiotic should be applied to the entire farm. 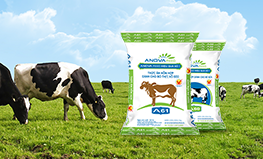 Diarrhea should be treated according to the veterinary drug regimen given, which include constant treatment in various phases according to the veterinary's instructions. 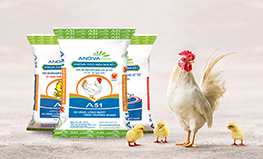 To make the treatment more effective, the farm must be kept in high degree of hygiene such as frequent cleaning and sterilizing of cages, equipments, and also limiting access into the farm.